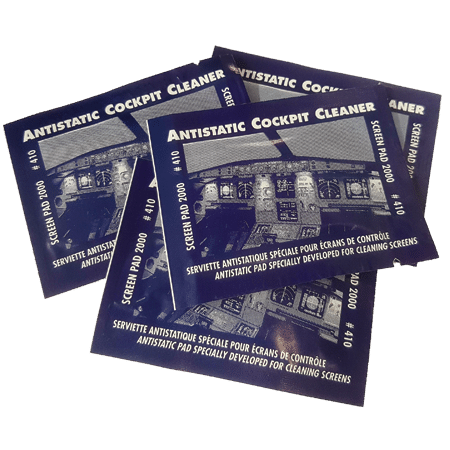 • Eliminates the negative effects of static electricity on portholes, aircraft windshields, aircraft equipment screens, computers, sighting systems (guidance), liquid crystal video screens. • Daily use of SCREENPAD 2000 is recommended for the maintenance of Plexiglas, plastics and other glass. • Evaporating product without leaving any trace. No iridescent effect. • The cleaned surface provides water-resistant properties.